Award winning and industry leading electrical services you can rely on. Our dedicated workforce of technicians and engineers deliver a wide range of electrical services from small rewires to major design and build projects. Whether it's a new installation or upgrading an existing system, as proud winners of the ECA "contract or the year" award 2018, our clients have the peace of mind they are working with experts. We can manage a vast array of infrastructure needs including lighting, power, security, heating and electrical repairs and maintenance. We offer a free initial site visit, consultation and quote to all potential customers interested in our electrical installations. Our service is designed to be flexible to meet your needs so please contact Powercor and let us do the rest. Powercor have worked in the new build sector for more than 2 decades and we are confident that our entire workforce has the aptitude and capabilities to give our clients the very best experience in the new build installation market. 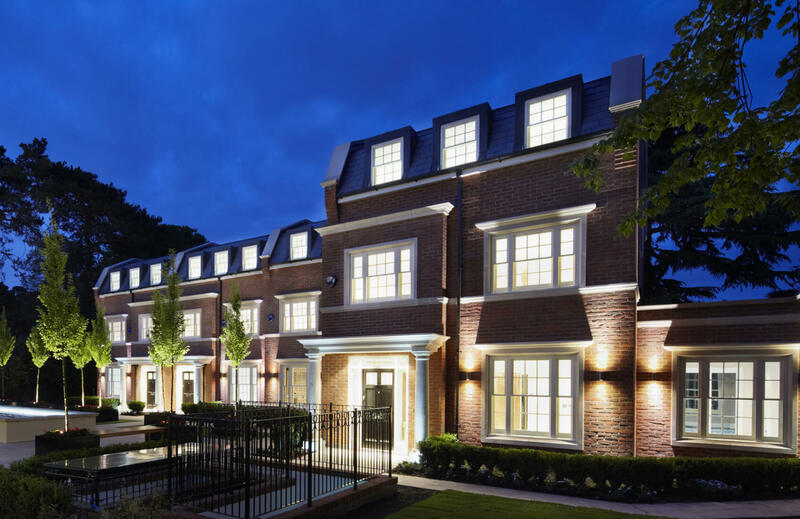 Powercor has delivered an incredibly high volume of residential projects from small single installations to multi dwelling developments as well as some of the most luxurious homes in London and the surrounding boroughs. New schools, colleges and health clubs have all benefitted from our experience in the new build sector and we continue to venture into new technologies so that we are at the top of our profession when it comes to electrical engineering in new build installation. We can manage all of your infrastructure needs including lighting, power, security, heating and electrical repairs and maintenance. Whether it is a new installation or upgrading an existing system we have the experience required to improve performance and integrate new technologies in to your electrical installations. Our professional and dedicated team at Powercor can assist you with any of your design and installation requirements by ensuring that your premises or site has the electrical distribution capability it needs while creating the optimum working and living environments that cater for current and even future needs. Are you experiencing power interruptions or failures at those critical times? Do you want to ensure your distribution network has the capacity for future expansion projects? Whether it is an upgrade of your existing distribution boards or an additional or new transformer sub-station is required, we can offer a solution to ensure you have adequate power solutions to your site. Our professional and dedicated team at Powercor can assist you with any of your design and installation requirements by ensuring that your premises or site has the electrical distribution capability. Powercor has completed many projects in the domestic and commercial sectors from upgrading or installing additional distribution boards in domestic dwellings to installing a HV to LV transformer, LV panel boards and the entire servicing infrastructure in a major London retail outlet. We are committed to providing you with value engineered solutions and the highest possible standard of service. High voltage electrical assets require the highest quality installations. The knowledge and experience of our engineers is just as important as the equipment they are installing. Regular installations of 11kV Sub-stations, 1000kVA Cast Resin Transformers, 1600amp Main LV switch panels, all the earthing arrangements and de-commissioning of existing panels have been undertaken by Powercor for many schools and businesses throughout the South East. We are committed to providing you with value engineered solutions and the highest possible standard of service leaving you with the peace of mind that your installation is safe, cost effective and reliable.